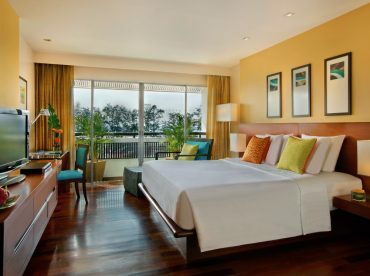 Enjoy the elegant style and comfort of our Swiss Advantage room, designed with accents of bright tropical color and natural materials, a spacious work area and in-room technology for the perfect blend of work and play. Each Swiss Advantage Room features a choice of king-size or twin beds complete with Swissôtel’s signature bed linens, a comfortable sofa, and armchair, as well as glass sliding doors that open up to your private balcony. Connecting rooms are available for families or groups of friends.